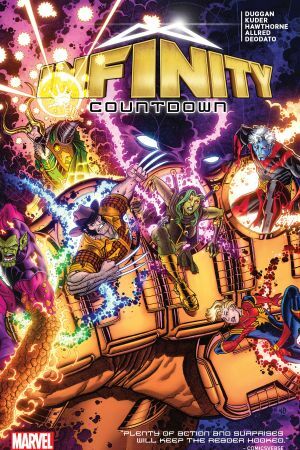 Collects Infinity Countdown Prime, Infinity Countdown #1-5, Infinity Countdown: Adam Warlock And Material From Free Comic Book Day 2018 (Amazing Spider-Man). The Infinity Stones. Individually, they grant their wielders great power. Together, they grant the power of a god. 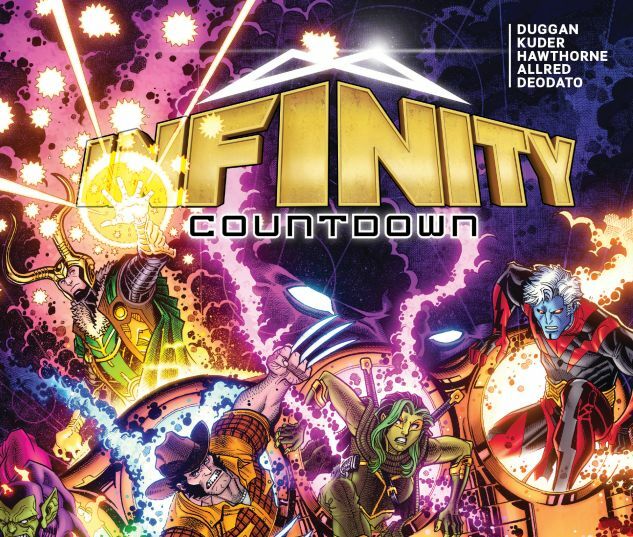 Once thought lost, the Infinity Stones have re-formed and are scattered throughout the universe. As their locations are discovered, forces converge for a battle that will send the universe down a dark path…to the end! The ultimate race for power begins with the universe’s greatest heroes and villains vying for possession of the gigantic Power Stone! The Chitauri are in on the action, as are the Raptors, Novas and the Guardians of the Galaxy! But who holds the other Stones? 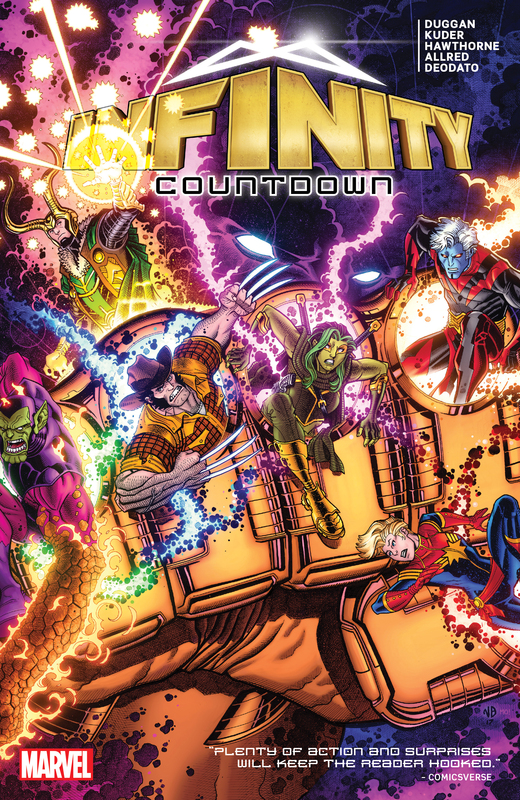 And when Adam Warlock, former wielder of the Soul Stone, enters the fray, the stage is set for the Infinity Wars!